Tooele's Blake Paystrup sprints toward first base after hitting a single during the fifth inning of the Buffaloes' 11-8 win against Delta on Wednesday at Dow James Memorial Park. Paystrup scored later in the inning on a base hit by teammate Nick Schwartzman. Tooele’s Nick Schwartzman heads to first on an RBI single in the bottom of the fifth inning, bringing in Blake Paystrup to score. 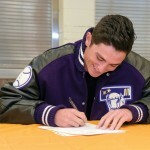 It may have been a bit more dramatic than Tooele baseball coach Catham Beer would have liked, but his Buffaloes finally broke through for their first victory of the season Wednesday. 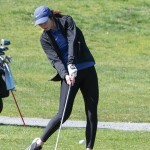 Tooele allowed two runs in the top of the seventh inning and allowed Delta to put runners on second and third base with two outs, but the Buffaloes were able to hold off the Rabbits for an 11-8 win at Dow James Memorial Park. The Buffs (1-5) led 11-4 after five innings, but Delta (3-4) made things interesting with two runs in the sixth inning on an RBI single by Kipp Zubeck and an RBI groundout by Jason Hatch. The Rabbits opened the seventh inning with a walk by Saxton Schena and a single by Carter Wankier against relief pitcher Nick Schwartzman. A Schwartzman pitch briefly eluded Tooele catcher TJ Bender, and Schena managed to avoid the tag to score a run. Dakota Johnson singled to left with two outs to score Wankier, but Schwartzman got Zubeck to fly out to right field to end the game. “At the end, it got a little crazy, but our pitching came through and we played together as a team,” Bender said. 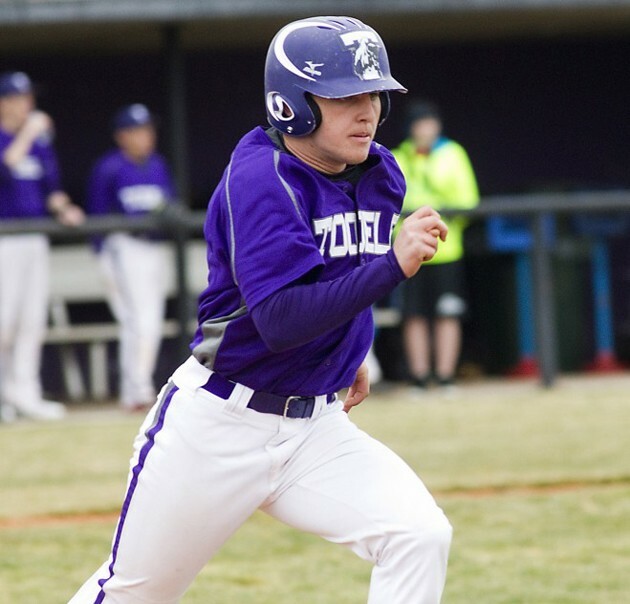 Tooele’s offense got started early, scoring four runs against Johnson in the bottom of the first inning after the Rabbits took a 2-0 lead in the top of the frame. Bender hit a one-out triple to the gap in right-center, and after Schwartzman was hit by a pitch, Mitch Gibson roped an RBI single up the middle to drive in the Buffs’ first run. Wyatt Steed drew a walk to load the bases, and Zach Dean reached base when a throw by Rabbits third baseman Brandon Hare was off-target, allowing two unearned runs to score. Dean scored on a single to left by Ryan Brady, giving Tooele a 4-2 lead. Delta responded quickly in the top of the second. Auston Chappell led off the inning with a double to center, and Johnson blasted a two-run home run over the fence in left-center field off Buffaloes starter Killian McClatchey to pull the Rabbits even. “[McClatchey] got into a little bit of trouble when he kept it up,” Bender said of the pitch that Johnson hit for a home run. “When he kept it low and outside, he did just fine. Tooele regained the lead with four runs in the bottom of the fourth inning. Brady led off the inning with a base hit. He stole second and advanced to third on a wild pitch, scoring the go-ahead run on a sacrifice fly to center by Hector Arce. Blake Paystrup was hit by a pitch and Bender drew a walk before McKay Pollmann ripped a two-run single to left. Pollmann later scored when Schena mishandled a ground ball by Schwartzman. The Buffs added to their lead in the bottom of the fifth on consecutive singles by Brady, Arce and Paystrup, followed by a two-out RBI single by Schwartzman. Brady finished the game 3-for-4 with an RBI, a stolen base and two runs scored. Bender was 2-for-2 with three stolen bases and two runs. McClatchey picked up the win, allowing six runs on eight hits with three strikeouts and a walk in six innings. Delta reliever Jason Hatch was credited with the loss after allowing three earned runs on five hits with a walk, a hit batsman and three strikeouts. 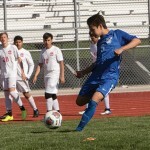 The Buffs played host to Hunter on Thursday in a game that was not complete at press time. 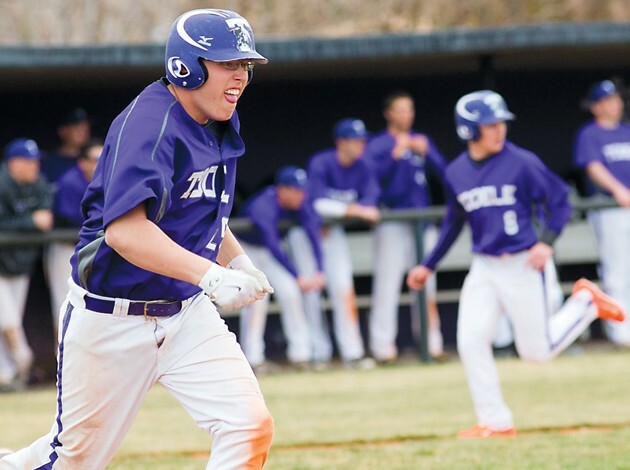 Tooele will wrap up its non-region schedule Monday at East.